How do you claim your business vehicle expenses if you use your personal vehicle for business? If you are looking for IRS rules, please click here. If you are looking for CRA rules, please continue reading. Page 5 of Form T2125 Statement of Business or Professional Activities is devoted solely to motor vehicle expenses. As the rules for claiming business use of auto expenses are complicated and very inflexible, CRA auditors will always examine them. So follow the rules closely if you want your deduction to pass a tax audit. 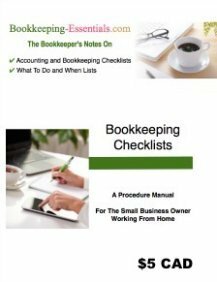 You will find tips on other small business expenses that are tax deductible on pages one and two of form T2125 discussed in Self Employment Tax Deductions. I discuss the accounting for vehicle purchases and vehicle leases in The Practice section of this site. This chat will discuss self-employed individuals and their vehicles ... once you've warmed up your cup of tea we'll begin. Before I begin I would like to remind you there is a difference between information and advice. The information provided in this article or on this site should not be construed as advice. Please make yourself familiar with my disclaimer. So you use your personal vehicle for business use and are probably wondering how to claim your business tax deduction. Only the business portion of vehicle usage is tax deductible. The personal portion is not deductible. This means your business vehicle expenses are prorated based on kilometers driven. This presents a problem for you as a small business owner. How do you prove to the tax assessor how often your vehicle was used for business purposes? The easy answer is the auto log ... the hard answer is the auto mileage log! The auto log is easy to talk about but requires discipline to maintain. Take the time to develop the habit if you want to audit-proof your vehicle expense claims. Without it, the tax auditor can reduce or deny your claim. The simplified method of calculating cents per kilometer driven is not an acceptable method for unincorporated small business owners. You must use the detailed method. Side Note: This discussion pertains to unincorporated small business owners but ... if you are incorporated, read more here on business use of your personal vehicle and company owned vehicles. You may also want to check out Employee Auto Allowance Rates. The image below shows how business vehicle expenses are claimed on your tax return. It is found on page 5 of Form T2125 Statement of Business or Professional Activities. The mileage information from your auto mileage log is entered onto lines 1 and 2. This determines the percentage of your business vehicle expenses that are tax deductible. You must keep all supporting receipts in order to make the claim. Looking at the diagram, notice that you can claim all your operating expenses such as fuel and oil, insurance, license and registration (including Canadian Auto Associaton), maintenance (includes car washes and new tires) and repairs but no fines or penalties. You can also deduct the full amount of your business parking fees on line 13. If you are driving your personal vehicle for business purposes, make sure you are insured for business driving. It is not enough to just have personal pleasure coverage or drive to work (like an employee) coverage. You are making this deduction because you say it is a business expense. ... so don't skimp here. Keep all your ducks in a row and your story line congruent with your main premise ... that you are incurring this expense with the expectation of earning profit sooooo ... all your supporting documentation must support this premise. You can deduct the full amount of the business vehicle supplemental insurance on line 14. If you have a car accident while on business, the car repairs are fully deductible. I have seen some business owners not have business coverage on their vehicles. So while writing this article, I called the BC Auto Association and asked what would happen if you were in an accident while using your personal vehicle for business ... and you didn't have business coverage. Her reply was quick ... ICBC would deny your claim ... which means you would be stuck for big bucks and could risk losing everything if there are injuries. If you are going to go without business coverage, at least investigate your risks with your insurance agent so you take the risk with your eyes wide open. In B.C., your regular personal insurance can have a clause added (at no additional cost I believe) that allows you to use your vehicle 6 times in a month for business. If you choose this option for your business coverage, make sure you have your auto log up-to-date to verify this usage if you are ever challenged by ICBC. Fixed expenses are the expenses you incur that are not "caused" by driving the vehicle but as a result of owning the vehicle. It is all the costs you still have to pay even if you don't drive the vehicle. You should keep all leasing and purchase documents pertaining to your vehicle. Chart B, which is not shown, calculates deductible interest expense; and Chart C, which is also not shown here, calculates your eligible leasing costs for the passenger vehicle category. At the start, I did mention that business vehicle taxes were complicated. Now you know how to claim your business vehicle expenses. You may also want to find out how to claim your business vehicle input tax credits relating to your personal vehicle. Chart B and Chart C calculations are carried up into Chart A on lines 4 and 8 respectively. Tax rate limits for lease payments and interest expenses relating to passenger vehicles are found on The Rates page. You will find the non-taxable allowance rates for employees here too. CRA guide T4130 Employers' Guide Taxable Benefits and Allowances explains allowable employment expenses an employee may claim if you (the employer) issued a T2200 Declaration of Conditions of Employment. The form allows employees to claim the business use portion on their personal vehicle on Form T777 Statement of Employment Expenses. If you reimburse them for their expenses and they are not taxable, the employee is not eligible to receive a T2200. A recent CRA ruling states you (the employer) are under no obligation to issue a T2200 for employees if you do NOT require them to pay for their own expenses (i.e. you have a reimbursement policy and/or allowance) even if the employee wants to claim their vehicle expenses on their tax return. Capital cost allowance (CCA) claim is optional. Use it only if your other expenses were not enough to reduce your business income to zero. 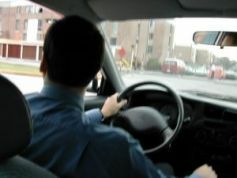 Be aware there are strict acquistion, disposal, and personal use rules (including possible taxable benefits for employees who use a company vehicle) and restrictions for vehicles which are broken into 3 types: motor vehicles, automobiles and passenger vehicles ... and auditors love to audit this deduction just to make sure you have followed those rules. When you are just starting out your business, or even if you have been in business awhile, try to organize things using the KISS principle ... Keep it Simple Stupid. 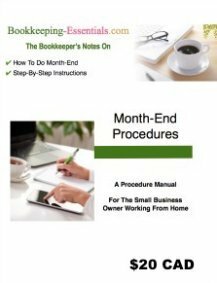 This is one home business tax item you want to put on your list to discuss with your accountant. If you go the company vehicle route, and want to claim 100% of your auto expenses, park the vehicle during non-business hours. If the vehicle is available for personal use during non-business hours, it is considered personal and therefore a taxable benefit arises for employees ... or you (as self-employed owner) must extract the personal use portion. Check out the CRA Guide T4002 if you need information on purchased or leased business vehicles. There is a nice chart to help you classify your vehicle so you know which rules to follow. Oh and I forgot to mention ... if you use more than one business vehicle, each vehicle must be tracked separately. That wraps up this chat on business vehicle expenses for today. If you would like to read more on this subject, bing/google CRA's publication IT-521R Motor Vehicle Expenses Claimed by Self-Employed Individuals. Now let's move on to your regular day-to-day operating expenses found on Form T2125 Statement of Business or Professional Activities.